Crafted by local artisans on the Spanish island of Menorca, our Wedge Pons Avarcas in Fuchsia are a fun, feminine bright pink. 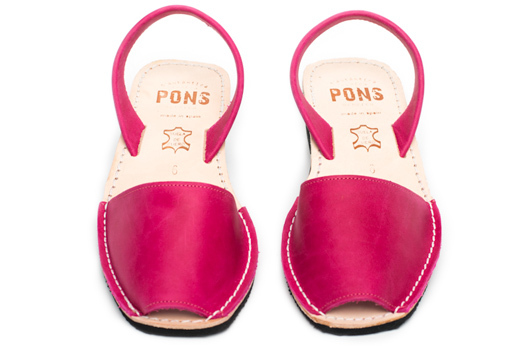 Pons sandals are produced with high quality all natural leather and have a lightweight rubber sole with a heel height of almost 2 inches (5 cm). Let these pretty pink sandals speak for themselves by pairing them with a neutral or let them bring out other pink shades in patterns!